Three shows in a row now for Gloria in fifth spot & stunning new graphics from Broken Fingaz were on screen for a blistering performance of ‘American Soul'. 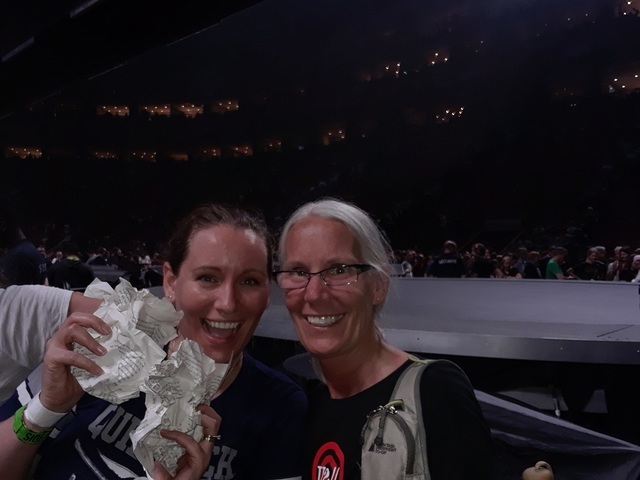 @pat_wand @U2 live in Montréal #U2eiTour So damn good. Merci beaucoup! Entering the arena last night, attendees were greeted by the sight of a huge translucent video screen/cage running most of the length of the floor, with the main stage at one end and smaller, circular ‘B' stage at the other. Inside the screen, an elevated catwalk connected the two stages. At any given time complementary images might be projected on the screen, and members of the band might be on the same stage, on different stages at the same time, or at various points between. Opening the show with the trifecta of Love Is All We Have Left, The Blackout, and Lights of Home before the reassuringly familiar I Will Follow was a statement in itself, while Love Is Bigger Than Anything In Its Way has the potential to join the top echelon of U2 ballads as a surefire, goose-bump-raising, lighters-in-the-air experience. Hopefully they will stick with the song long enough for it to take on that weight. "I would like to take this moment to talk about Canada ... a country, and it's not an overstatement to say this, that it is a light for the whole world to look into... these are dark days for democracy and Canada is a light." "I feel not quite a grown-up. I stayed 11, just like the rest of the band. They got to 16, I only got to 13." Shoutout to friends from Arcade Fire who were in the house tonight. #WomenoftheWorldTakeOver. SING IT. RECORD IT. POST IT. Sing the song. Share it online. Join the movement. U2 in a magnificent city! U2 concert #7 & first outside the US. When the tour dates were announced, no Texas, no problem. With its reputation as being the most European city in North America and a wife from Germany, we always wanted to visit Montreal. Perfect for a U2 show. Acrobat a major highlight being played on tour for the first time! Pride is the only song they have played at all 7 and always amazing. Overall fantastic night in a magnificent city. And great coffee at Leaves! Bono was right, Canada is a Light! 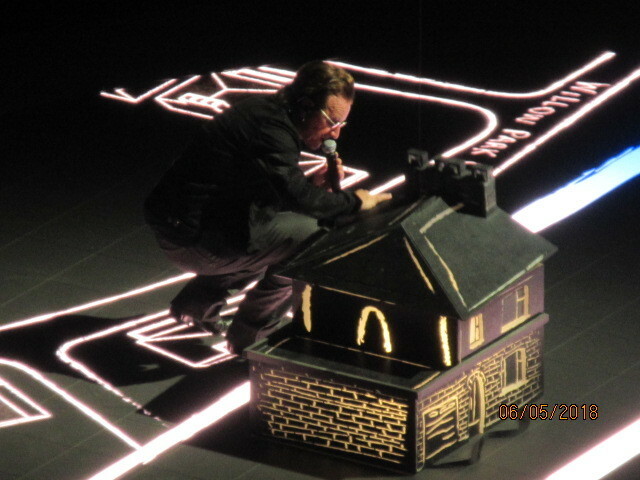 Seeing U2 at the Bell Centre was a great experience. The Sound quality was perfect. 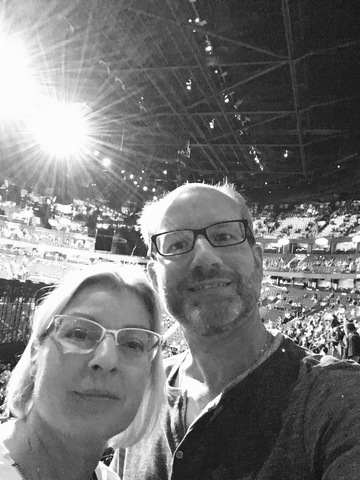 This was my 4th U2 concert and this time I really felt part of the fan experience. Mémorable encore une fois...Love U2 ! I've been bringing my daughter to U2 concerts since she was 10! This was my 5th U2 concert and as always, it was great! I especially loved the fact that they played "Desire" and "Acrobat" as I had never heard them played live before. :D Thanks for a wonderful Experience (pun intended hahaha). Love the story told and was blessed to share the innocence experience with my daughter. I was only sad that they didn't play "Still haven't found what I am looking for." This is an anthem song in honor of a dear childhood friend of mine who lost her life in the PanAm flight over Lockerby, Scotland. Her Innocent life was taken away and her body never recovered. This song always reminds me of her. Besides that the show was a great mix of old and new with extremely high energy!!! So Blessed! Keep fighting for the causes you believe in and someday may there be peace on earth! Great night thank you U2 the new album songs playedclive absolutely breathtaking .Bono I always cry whrn you sing Iris.I miss my mom.Edge i have never been that close to you in all these years during Pride .What a nice surprise.I get to do it all again in the RZ tommorow. Great great night . This week will be awesome! 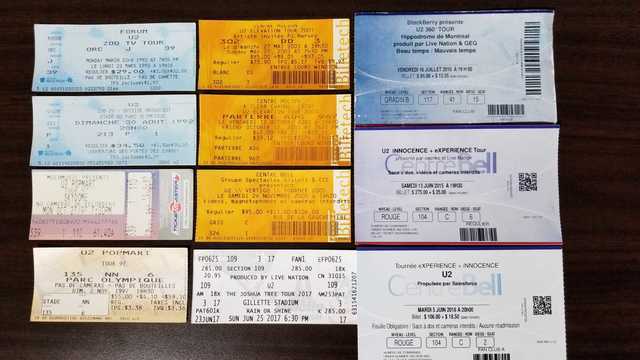 Are you ready U2 for another appointment with me and my husband next tuesday... and can you believe me if I tell you that you will make me vibrate one more time with "the most beautiful sound I ever heard" !!!! Ive only seen U2 in Ottawa and Toronto, going back to the 1980's. Will there be a Queue in Montreal? Fellas! We need to see you in Western Canada! How about Calgary, Edmonton or a return to Vancouver please? Looking forward to spending some days in Montreal, and capping the weekend off with a show. Oh, please come back to Toronto! I know it's early... maybe this is only the first leg of the NA tour? Why no Toronto date? That's like not playing New York City when going to the US!! Please add a Toronto date (hopefully before the presale on the 14th!). Dublin + Montreal = Quebec City? Looking forward to your show in Montreal! Only wished you chose to come there or to Ottawa with the Joshua Tree anniversary tour. Hoping U2 will consider playing in our Nation's capital!!! Please come to visit Québec City. We have a brand new amphitheater! Can’t wait to hear U2 play them at the Bell Centre! Will be awesome!